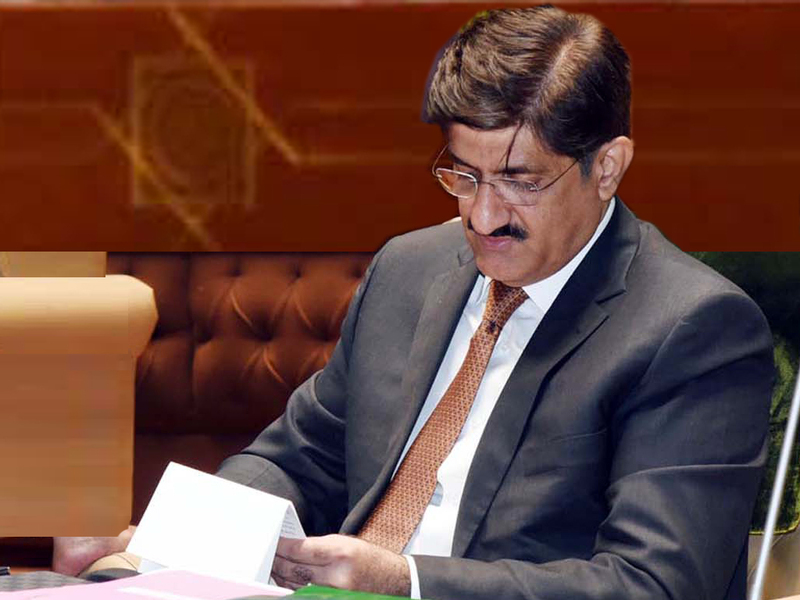 KARACHI: Sindh Chief Minister Syed Murad Ali Shah has said that the approval of Karachi Circular Railway by Joint Working Group of CPEC is a big success for the people of Karachi. Addressing a reception for Joint Working Group (JWG) of CPEC on transport infrastructure at the CM House on Saturday, he said we discussed KCR, Keti Banadr and Dhabeji Special Economic Zone projects. The meeting approved and recommended them to Joint Coordination Committee of CPEC for implementation under the CPEC framework. Syed Murad Ali Shah said that China Pakistan Economic Corridor would help build a robust and stable economy in Sindh together with generating sound prospects for the province to revive and expand its road connectivity. “This will augment a new era of connectivity leading to employment generation and decent transportation,” he said. He said that a joint Cooperation Committee meeting on China Pakistan Economic Corridor was held in Beijing, China on 29th December, 2016 where “he proposed Karachi Circular Railway, Keti Bandar and China Special Economic Zone, Dhabeji for development under CPEC, which were accepted. The chief minister said the Sindh government approved the feasibility and framework agreement of the Karachi Circular Railways and shared that with federal government to execute this mega project of high of priority. “The KCR is an integral part of the comprehensive Mass Transit System which would attract a ridership of 700,000 per day. Murad Ali Shah said that the Sindh’s coastline is more than 300 km long with two ports Karachi Port and Bin Qasim. A new jetty at Keti Bundar would enhance county’s capability to export coal. It also has the potential to develop into a full port. “Five million people living in the surrounding areas would directly benefit from this project,” he said. Talking about Dhabeji Special Economic Zone, the chief minister said this project stretches over 1000 acres and is located about 55 kilometers from Karachi at the eastern alignment of the CPEC. “It has commercial viability and development potential in the immediate terms,” he said and went on to say with the advent of the agro-based industry this economic zone would usher in prosperity. He said that the CPEC would prove to be historic milestone in the history of Pakistan-China relations which would not only bring extensive development opportunities to the province but would also bring development to the under developed areas of the country.